DVSA is encouraging motorists to avoid MOT fails by carrying out simple vehicle checks. The latest MOT testing data for Great Britain shows that around 40% of cars fail their MOT at the first attempt. Nearly 50% of all faults found on MOTs could be avoided by carrying out regular, simple maintenance such as replacing bulbs, windscreen wipers and tyres. Nearly one in five (18.4%) of all cars taken for MOT had a problem with lighting and signalling – including simple problems such as blown bulbs. Checking your lightbulbs is easy to do. You just need to give them a light tap to see if they are loose or damaged. You can also check the colours are right and match. Replacement bulbs are fairly cheap and you can change them yourself if you have your car handbook. If not, many garages will change your bulb for free. DVSA has published a series of short videos on YouTube about simple car maintenance – including one on how to carry out checks on lights and indicators. 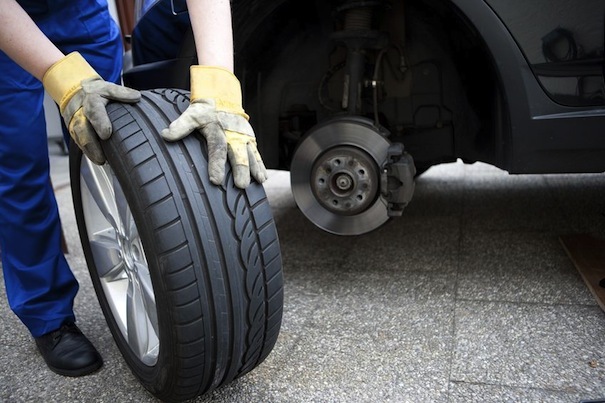 During 2014/15, 7.4% of car MOT fails were due to tyre issues. You can use a tread depth gauge to check your tyre tread. The minimum tread for a car is 1.6mm. One in 10 (9.6%) MOT fails are due to brake issues. You can test your brakes every day as you set off. If you hear any strange noises, or if your car pulls to one side, contact your local garage immediately. You can also check your brake fluid levels. Look for the high/low markings on the reservoir and make sure that your brake fluid is topped up. 6.6% of MOT fails are due to issues with the Driver’s view of the road. You can avoid this by carrying out simple checks such as: the windscreen wipers and washers work your view of the road is clear of any stickers, toys or air fresheners. Windscreen wiper blades should be replaced if they show signs of damage or if they are more than a year old. You should get your windscreen replaced if you have any large chips that affect your view, as these will result in an MOT fail. Your rear-view mirrors must be adjustable and in good condition. You should also make sure that you regularly top up your washer fluids and check that your washers are working properly before setting off. You shouldn’t wait for your MOT to check if your car needs maintenance. All drivers have a responsibility to make sure their vehicle is properly maintained and safe to drive at all times. Carrying out simple checks on items such as lights and tyres will help motorists to stay safe and legal, as well as saving time and money when their vehicle is due its MOT. The MOT tests your car and its parts to check that it meets the legal standards. An MOT isn’t the same as having your car serviced and doesn’t check its general mechanical condition.